Stevens Loft - Your Private Sanctum in the City. 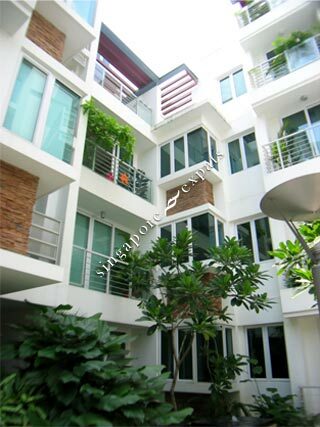 Stevens Loft is located off Stevens Road, which is 5 minutes drive to the Orchard Road and a road away from the Pan Island Expressway (PIE). It is close to the International Schools, The American Club and The Pines Country Club. With 28 exclusive apartments including 8 maisonettes, this 5-storey apartment development offers resort-style pool and spa, exotic Asian courtyards and water trellises. Located in the heart of town, Stevens Loft provides privacy, tranquility and quiet living where only the discerning few can appreciate. The apartment layout comes in 1-bedroom, 2-bedroom and 3 bedroom maisonettes. Their sizes ranging from 700 sq.ft. to 2,100 sq.ft.